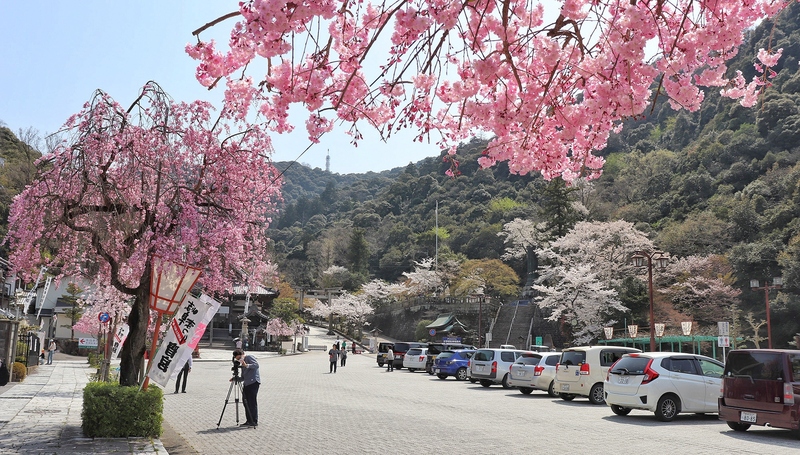 Get your flower-viewing on without straying too far from Gifu City. Cherry blossoms are a flower that reminds one of the beauty – and fragility – of life. While the flowers are extremely breathtaking in full bloom, there are a number of factors that can alter the quality and duration of their blossoming. 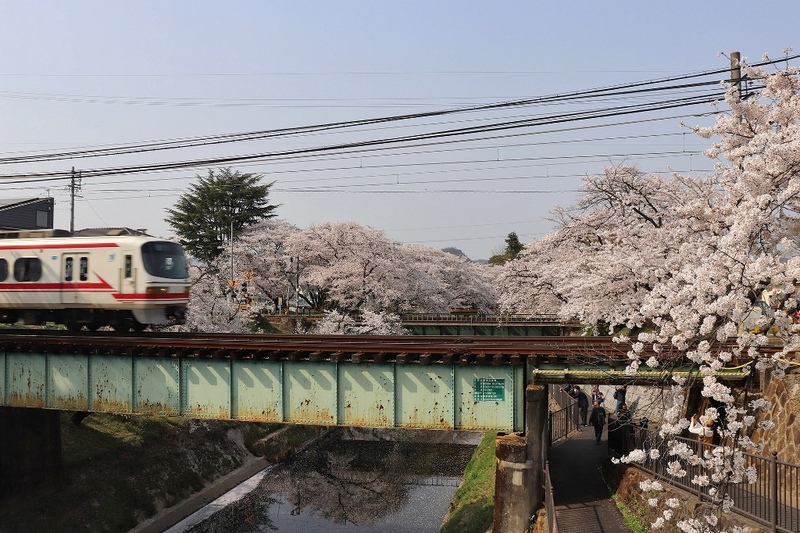 After cherry blossoms have bloomed, for example, if there happens to be any stormy weather it can ruin that year’s entire season, and even with nice weather the blossoms are only in prime viewing condition for a matter of days (a week at longest). That’s why if you want to see some cherry blossoms in Japan then there are two factors that are absolutely essential: timing and luck. 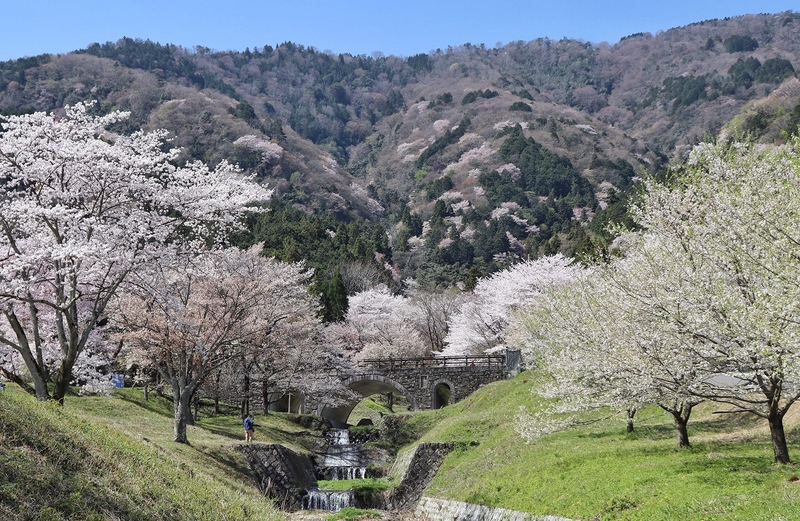 Good thing for you, Gifu gives one a longer cherry-blossom-viewing window than most places (like Tokyo or Kyoto) because of the differences in elevation between the southern Mino region and northern Hida region. 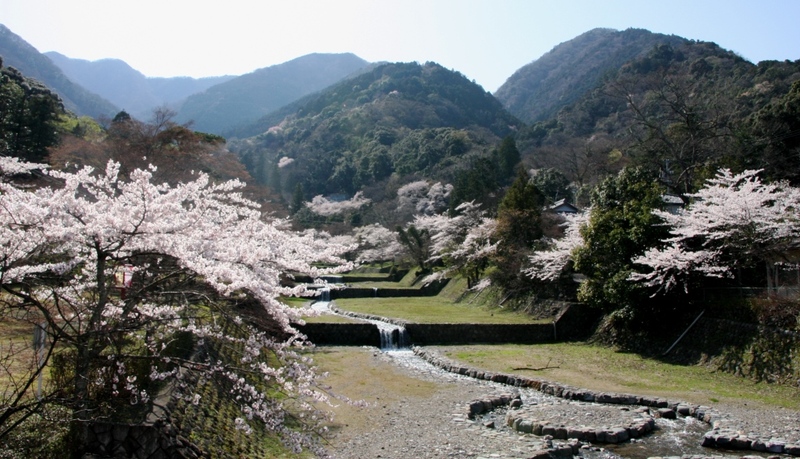 Essentially, cherry blossoms begin blooming in southern Gifu and slowy make their way up north to the Hida region. This cherry-blossom window normally lasts a few weeks to a month. Most places will be crowded if you go during the weekend or on national holidays, so if you want to go when there are relatively few people I would recommend going on weekdays. 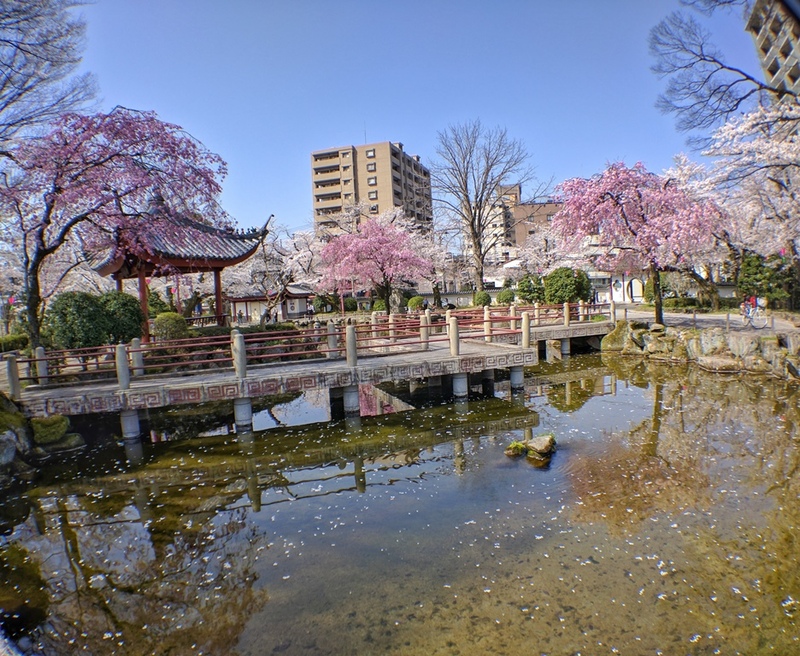 While there are some cherry trees within Gifu Park, around the three-story pagoda for example, I would like to introduce places that are technically to the north of the park (from the park just head towards the Nagaragawa River and cross over the pedestrian bridge). 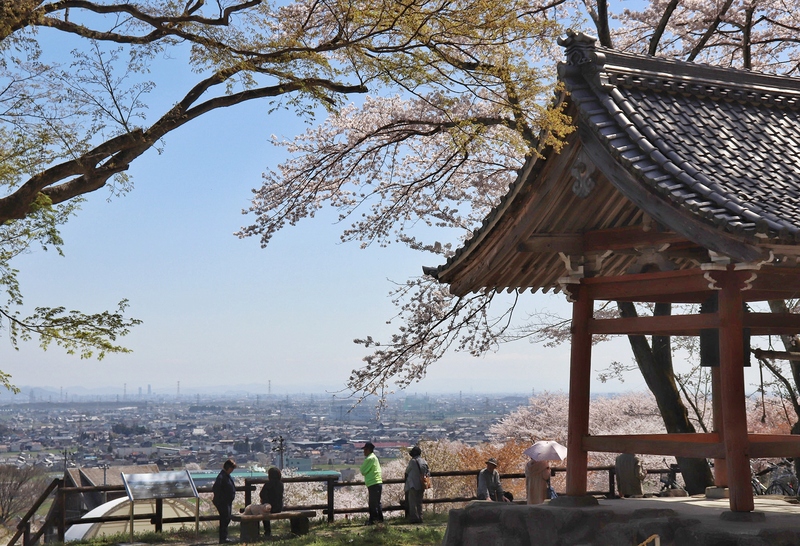 In this area you can find the Japan-China Friendship Park (Nicchuyuko Koen), Nagara River Embankment (Nagaragawa Tsutsumi), and the Ukai Zakura Tree. The Japan-China Friendship Garden is an enchanting area with a pond and several traditional Chinese styled structures. I noticed that the park is almost like a pilgrimage destination for photographers as the flower petals on pond’s surface and the Chinese structures are very picturesque. 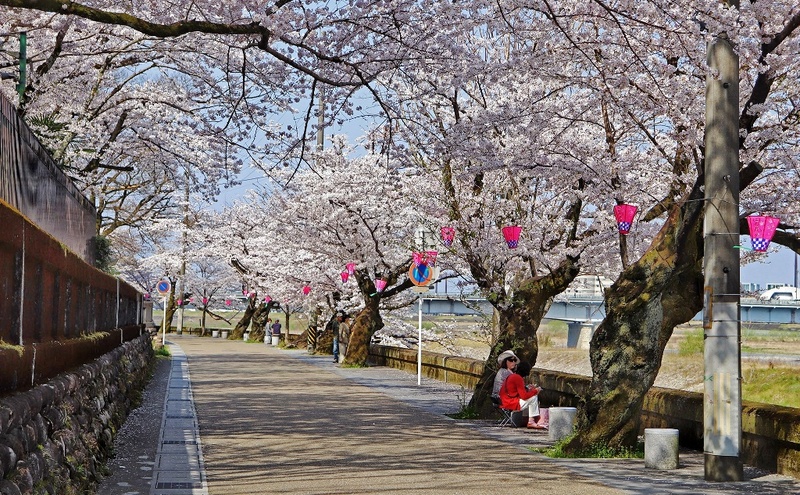 The Nagara River Embankment features beautiful cherry trees that line the river embankment from the Nagaragawa Hotel Park to the main Gifu Park parking area. 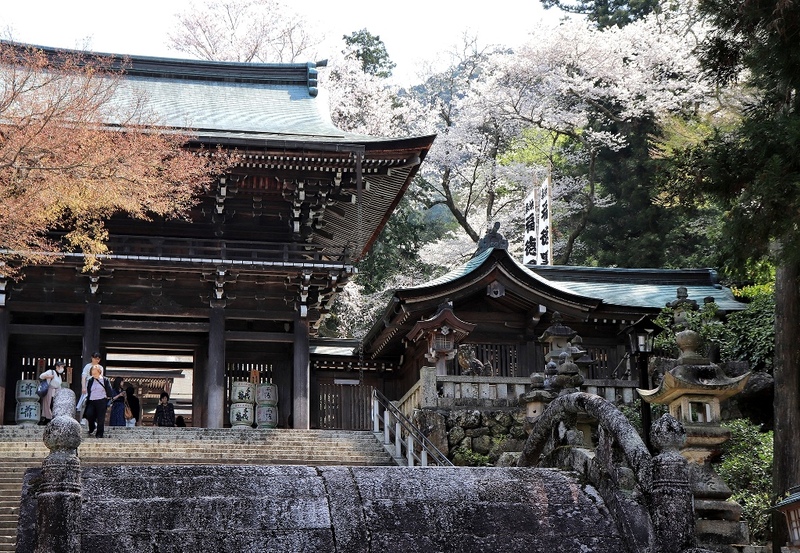 Gifu Gokoku Shrine is home to the Ukai Zakura Tree (meaning “cormorant fishing cherry blossom tree”), a gigantic 8-meter-tall cherry tree that is over 100 years old. Long ago it was said that the number of cherry blossoms on the tree foretold how bountiful that year’s cormorant fishing season would be, which is how it received the name “Ukai Zakura.” Every year its blossoms are the first to bloom, which is why it’s known for announcing the arrival of spring. 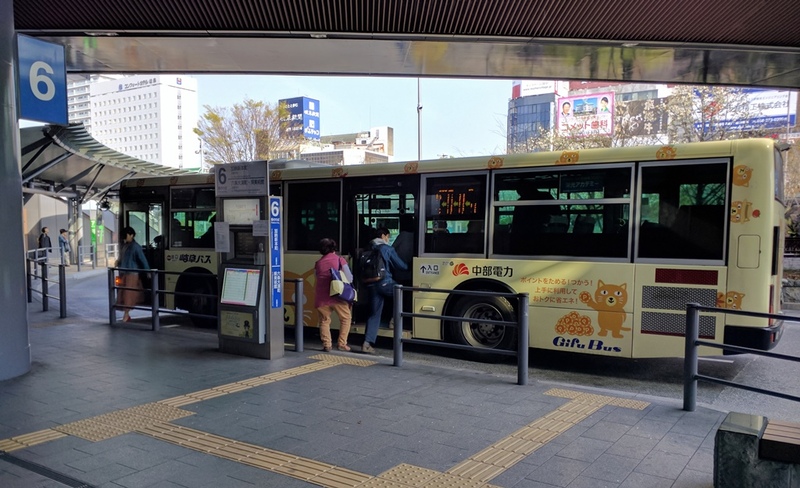 Directions: From JR Gifu Station take a bus from boarding station 12 and disembark at either the “Gifu Koen Rekishi Hakubutsukan Mae” or “Nagarabashi” bus stop (15 min and ￥210). For those feeling a little more adventurous, it is possible to bike from the rental bike port on the south side JR Gifu Station for only ￥100 a day (travel time is around 30 min). 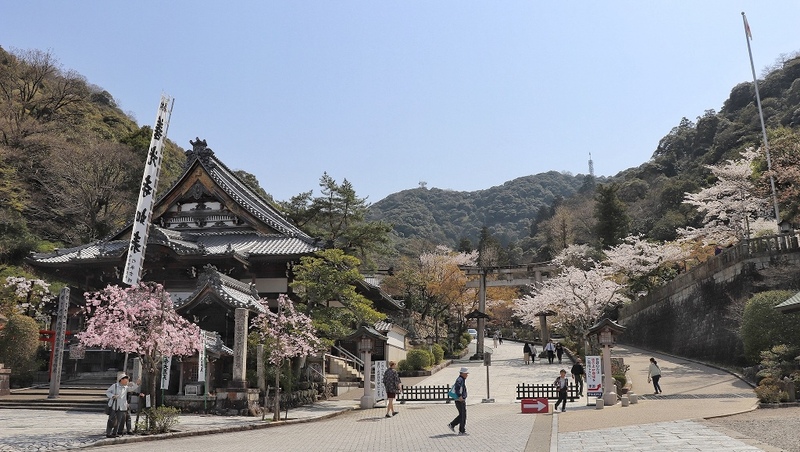 Inaba Shrine is located at the foot of Mt. Kinka about halfway between JR Gifu Station and Gifu Park. According to the shrine’s website it holds a history of over 1,900 years with its original location being on top of Mt. Kinka (called Mt. Inaba at the time) where Gifu Castle currently is. When Saito Dosan took over Gifu in 1539, he forced the shrine to move locations to where it is now. 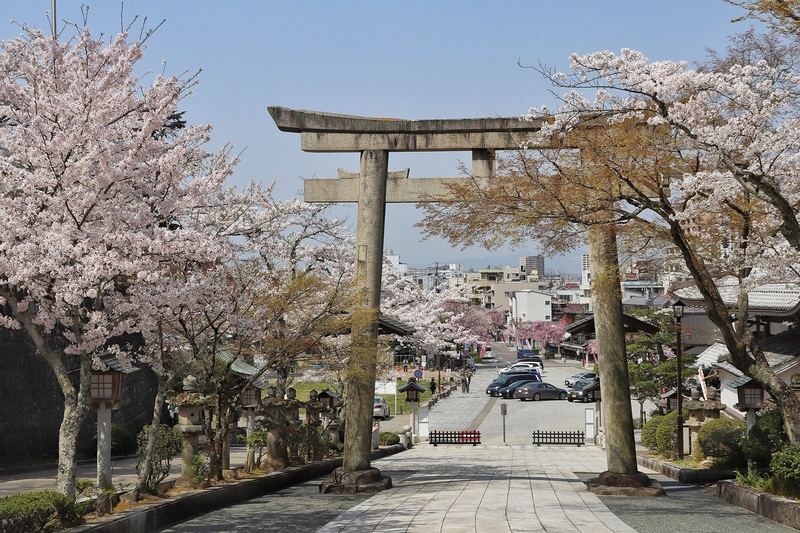 Before you even reach the shrine’s front torii gate you will be greeted by cherry blossoms lining both sides of Inaba Dori (the street leading up to the shrine). And in Inaba Park, also located in front of the shrine, there are a surprising number of cherry trees that make for a very pink landscape. The shrine itself is located at the top of a curving hill. 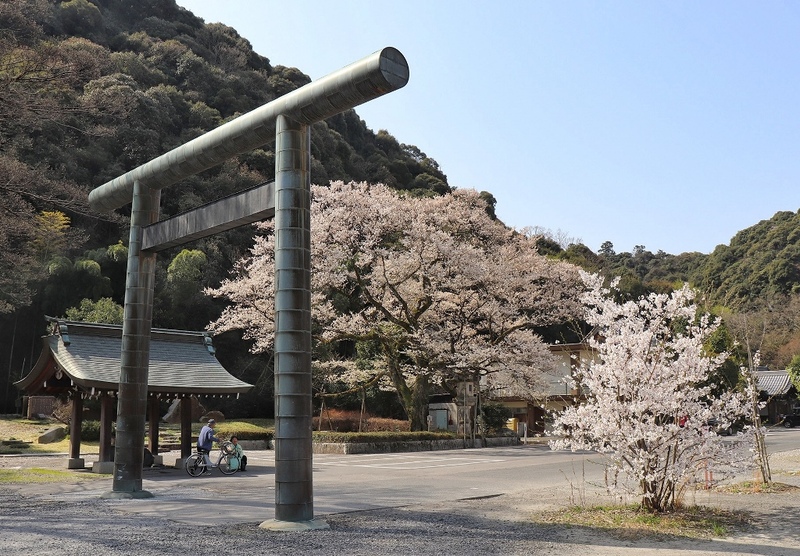 Pass through the giant stone torii gate at the bottom and you will come to a sloped path lined with cherry trees that lead toward the main hall. The shrine has a very ancient atmosphere and it almost feels like you are in an old Japanese folktale. 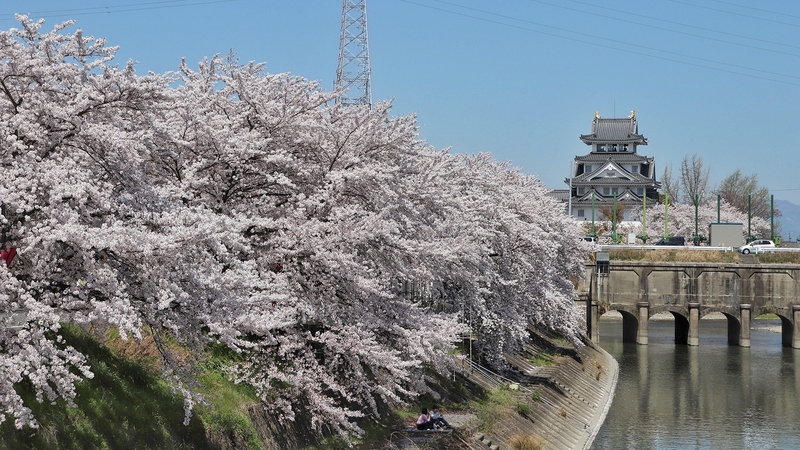 The cherry blossoms along the Shinsakai River are perfect for those who want to relax and enjoy the warm spring weather. 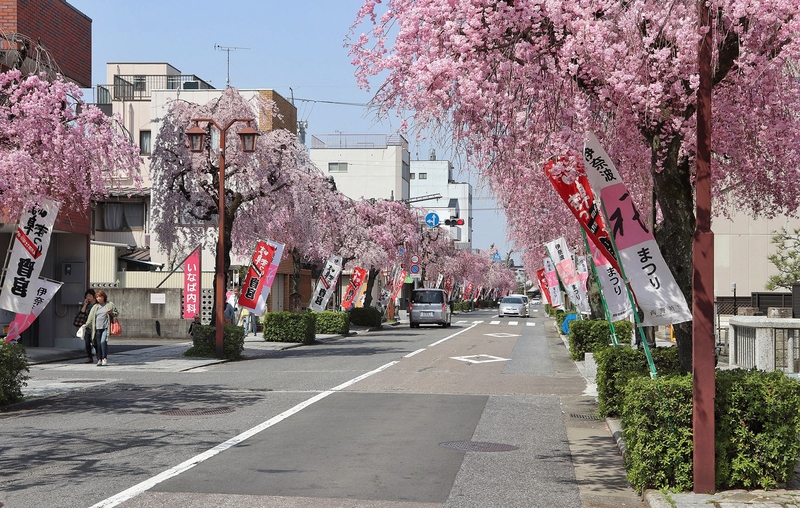 The cherry trees here are named after the Kakamigahara-born kabuki actor Hyakujuro Ichikawa (1882-1969) who donated 1,200 cherry trees (a handful of which still remain) in 1931 and 1932 to remember the many people that died in the construction of the Shinsakai River (called the Sakai Drain Canal at the time). 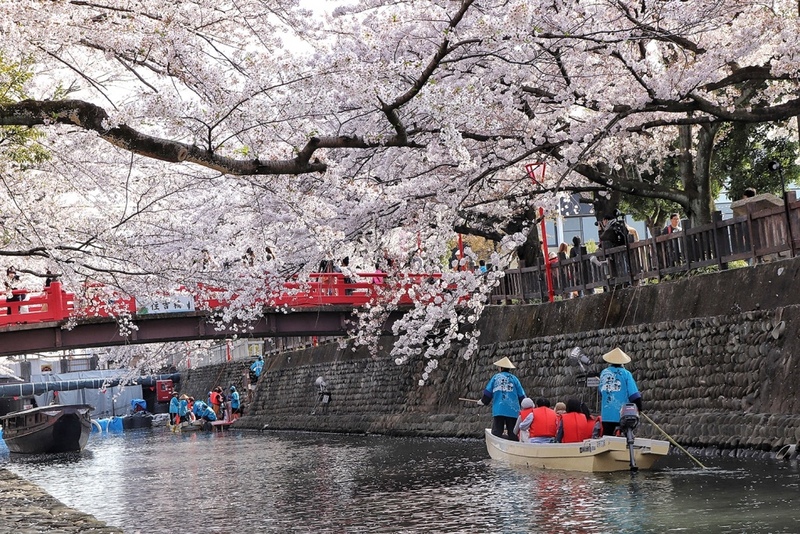 In 1990, the cherry trees here were designated as one of Japan’s Top 100 Cherry Blossom Spots. Directions: From Meitetsu Gifu Station take a local train heading towards Inuyama on the Kakamigahara Line and get off at Shiminkoen-Mae Station (15 min, ￥300). The Shinsakai River passes under the railroad tracks just to the east of the station. 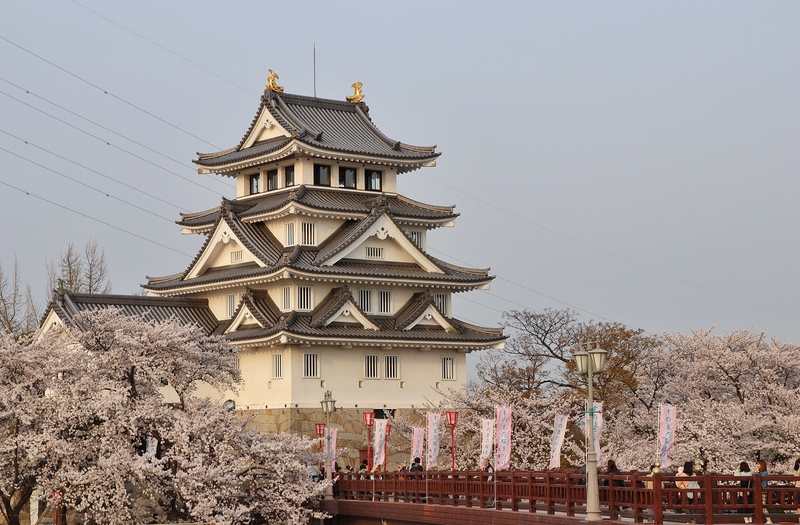 Sunomata Castle, famous for the beautiful cherry trees that surround it, was said to have been built so quickly that it appeared overnight (leading to its nickname: Sunomata Ichiya [“one night”] Castle). The castle standing now was constructed in the 1990’s and the outward appearance was based off of the nearby Ogaki Castle. If you want to see what the original looked like just wander into the history museum; it was supposedly more makeshift than the standard castle in order to allow for quicker construction. 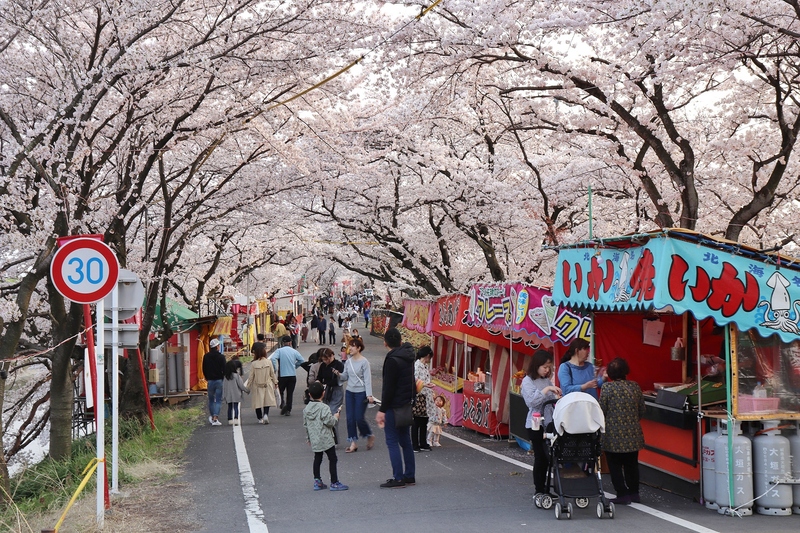 Every year during the cherry blossom season is the Sunomata Sakura Festival which attracts food stalls of all kinds and hordes of cherry blossom fans. If you don’t want to get caught in the crowds try to avoid going on weekends or national holidays. During the festival, the castle and surrounding cherry blossoms are illuminated at night creating a very picturesque atmosphere that will be hard to find anywhere else. Directions: From bus platform 6 at JR Gifu Station take a bus on the Obusa Sunomata Line going towards Sunomata and get off at the “Sunomata” bus stop (38 min, 500 yen). 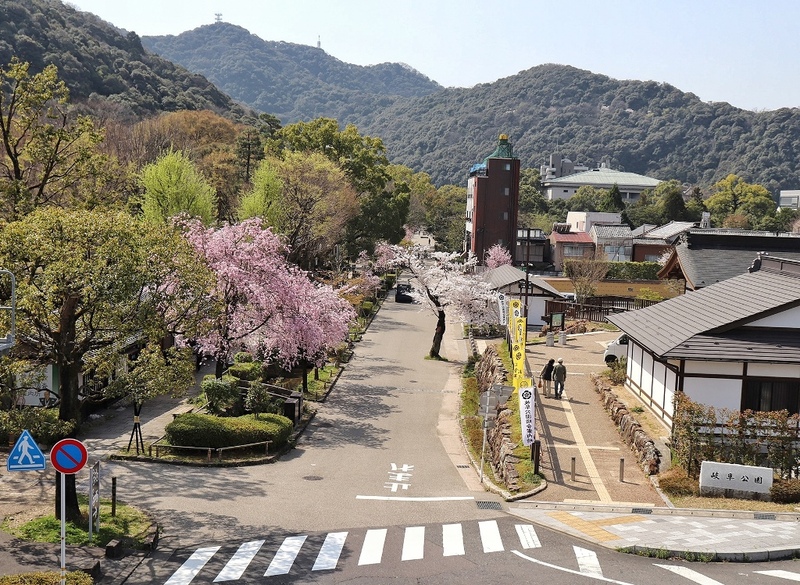 Sunomata Castle is only 10 minutes away on foot from “Sunomata” bus stop through the cherry blossom tunnel. 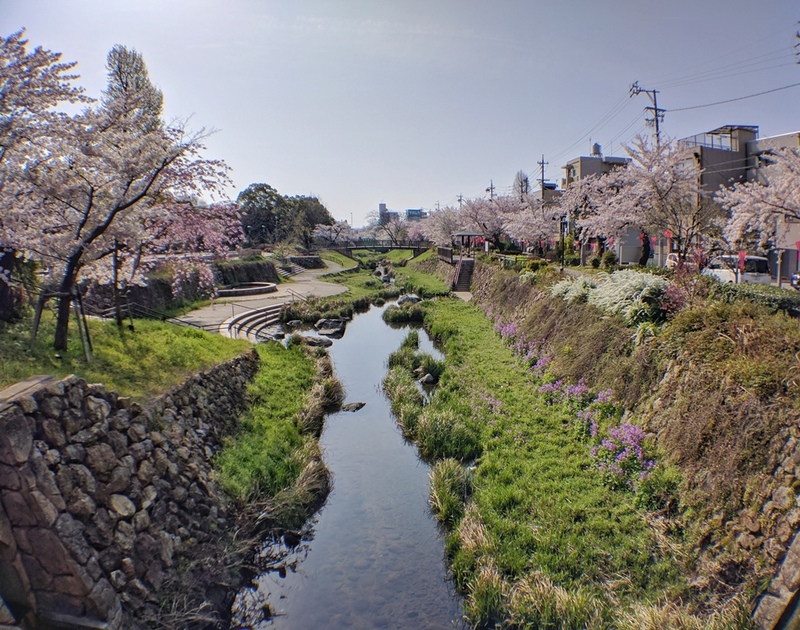 Located in Ogaki City are the beautiful cherry trees that line the Suimon River near the Oku no Hosomichi Musubi no Chi Memorial Hall. 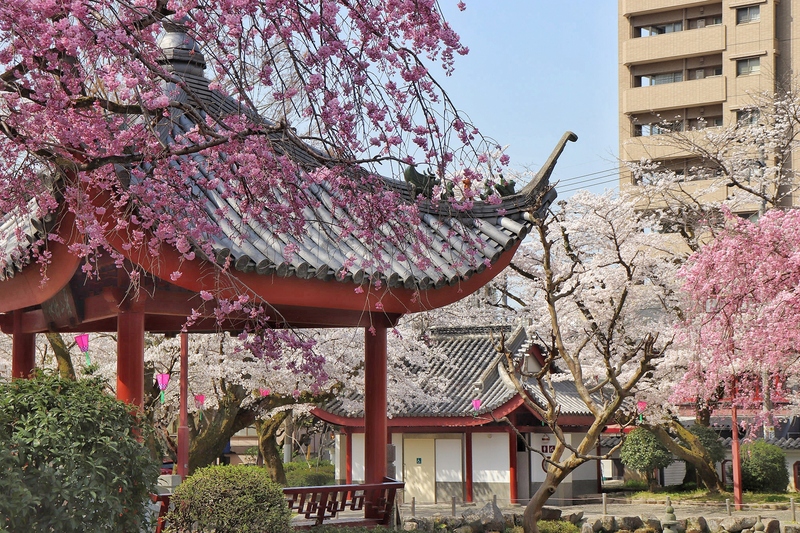 There are a few events that are held in time with the cherry blossoms, so it is easy to spend a couple hours just wandering around. 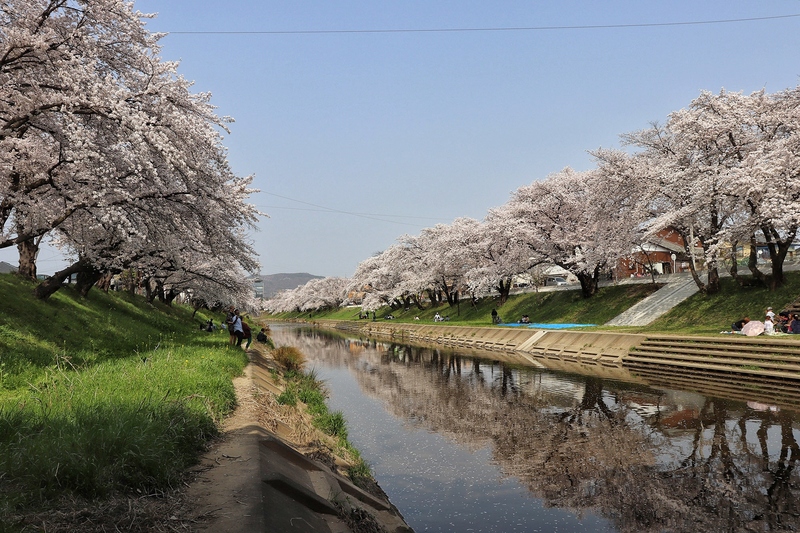 When I visited there were a total of three events going on: a festival in honor of the famous poet Matsuo Bansho, boat rides down the Suimon River, and a cherry blossom light-up event at night. I was actually able to ride in one of the boats (thanks Sarah and Tom! 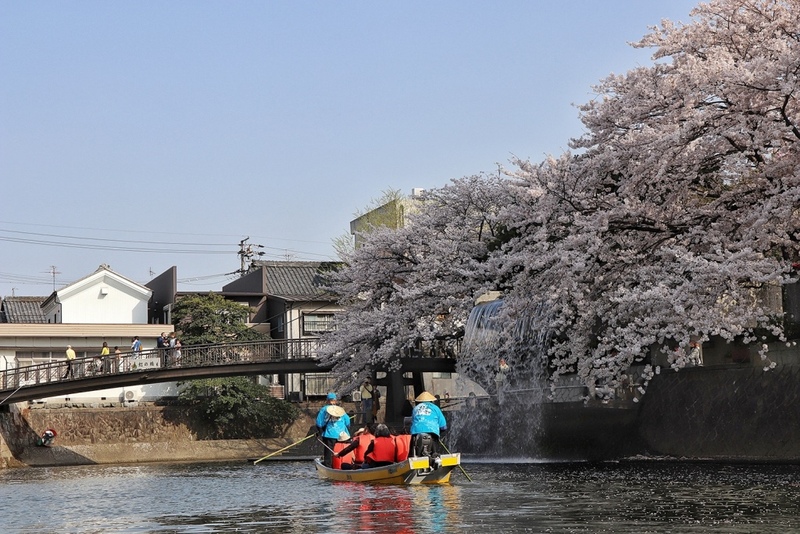 ), and it provided a nice opportunity to enjoy the cherry blossoms along the Suimon River from a different perspective. Unfortunately the website for boat ride reservations is all in Japanese, however, it is possible to get by with Google Translator. 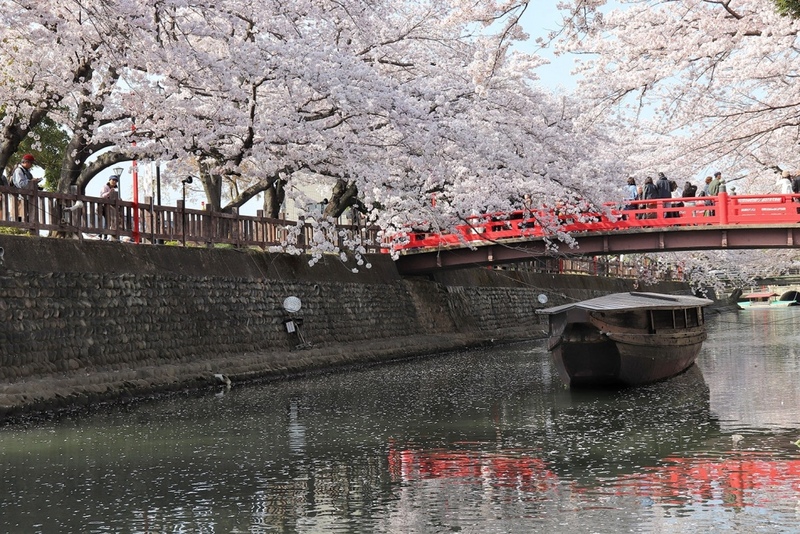 Spots fill up fast so you will want reserve them in advance, the only thing is that you won’t actually know when the cherry blossoms will be blooming until right before they bloom (I actually did the boat ride last year as well but booked them too early so there weren’t any cherry blossoms). Directions: 20-minute walk from JR Ogaki Station’s South Exit. Walk south away from Ogaki Station down Mino Road (the main road) to the second traffic light and turn right (west). Follow the canal (Suimon River) west and eventually it will turn and start going south around the Hachiman Shrine. Follow the canal south and it will take you all the way to the Oku no Hosomichi Mussubi no Chi Memorial Hall. Places that are a bit farther from Gifu City but still worth knowing about. 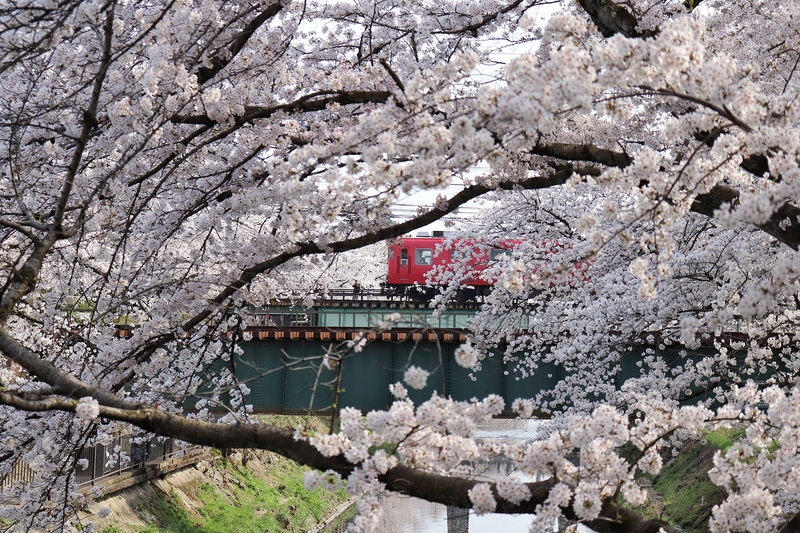 The two kilometer path from Yoro Station to Yoro Waterfall is lined with around 3,000 cherry trees, coloring the area with a vibrant pink tint during spring. 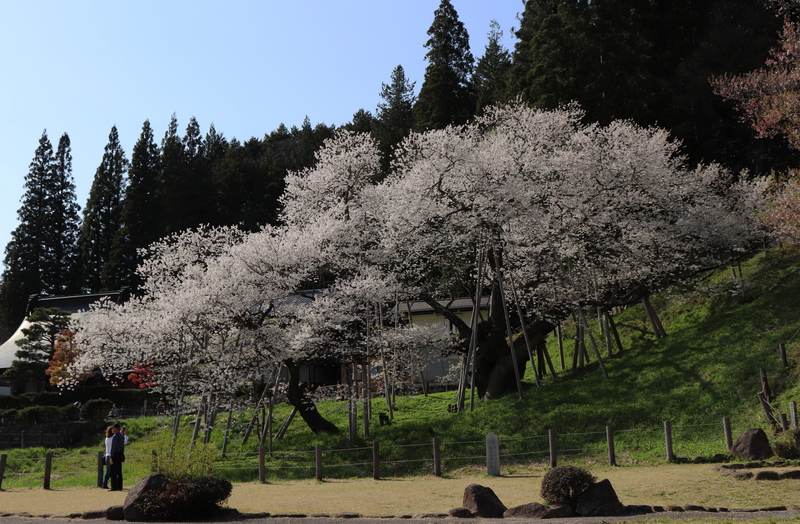 The expansive Yoro Park, filled with cherry trees and overlooked by the colossal Mt. Yoro and Mt. Shogatake behind, has a spectacular view that you won’t want to miss! Directions: Exit JR Ogaki station using the South Exit and take a Yoro Railway train (around 25 minutes, ￥410) to Yoro Station. From Yoro Station walk 10-15 minutes to the park. Kamagatani Valley (meaning “misty valley”) takes its name from the eight species of around 1,500 cherry trees that, from afar, appear as a deep pink mist covering the valley. There are hiking trails and an impressive viewpoint at the top of the park. Directions: Kamagatani Valley is best reached by car (only an 8-minute drive from Ikeno Station on the Yoro Railway). When plugging it into the GPS use “Kamagatani Sports Park” as the destination. 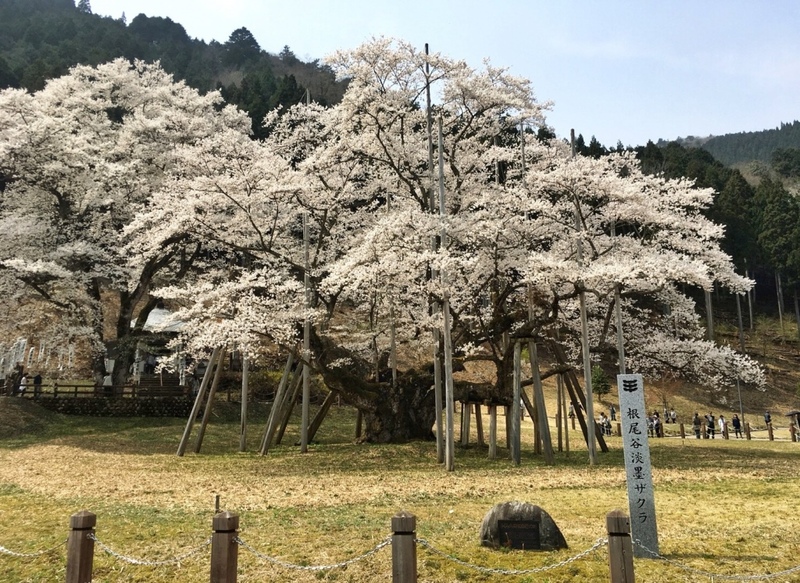 Regarded as one of the top three cherry trees in Japan, this 1,500 year old tree is designated as a Natural Monument by the national government. The tree isn’t just famous for its cherry blossoms, which turn a grey tint before dropping when they wilt, but for its wide trunk and branches as well. 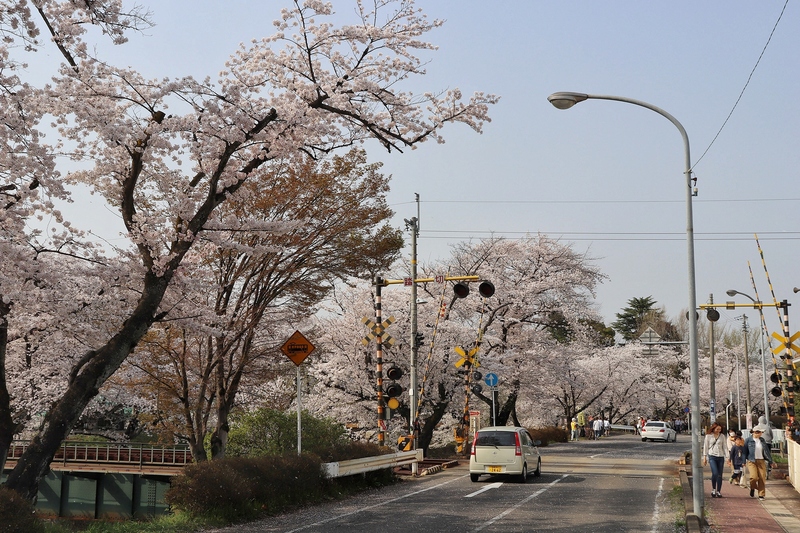 Directions: Usuzumi-Zakura should also visited by car, just use “Usuzumi Park” as the final destination. It is also possible to go by train: transfer to the Tarumi Railway line at JR Ogaki Station and take a train towards Tarumi disembarking at Tarumi Station (1 hr 10 min, ￥920), from Tarumi Station it is a 15-minute walk to Usuzumi Park. 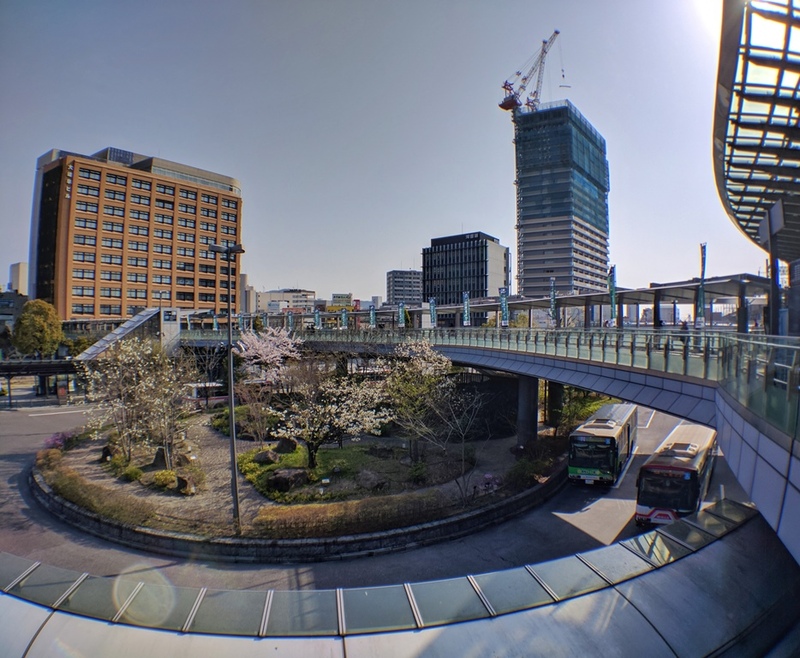 Gifu Station is not by any means a major cherry-blossom-viewing spot, but I was surprised by how beautiful it was on the morning I traveled around to the different spots for this article. The Seiryu Ryokuchi Park is just a minute’s walk southeast of the station and was especially beautiful; in the early summer here you can even see fireflies.